This weekend was pretty cold and windy around here, so without any plans (other than laundry!) I spent most of Saturday sewing. It was fantastic! 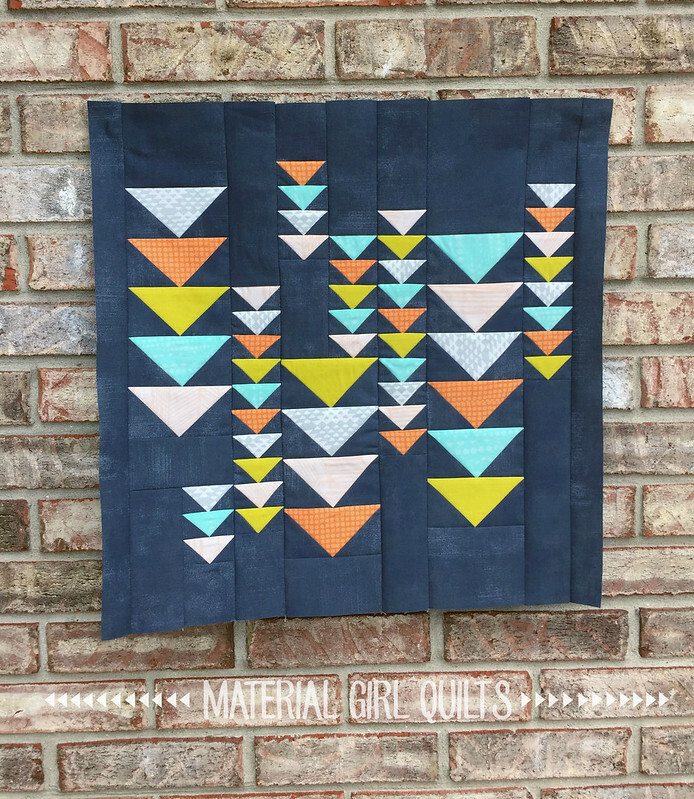 I was able to whip up another Heading South Mini quilt top in completely different colors. The fabric for the mini flying geese are a selection of Me + You batiks. If you haven’t seen these modern batiks, you really should check them out. Truly gorgeous! And the background fabric is one of my old favorite grunge colors from Moda Fabrics. I just love the contrast between the background and geese…that chartreuse really pops! The mini quilt finishes at 20″ square. I was also able to finish up a pattern for the mini and you can purchase the pdf version in my shop. Hi Amanda! 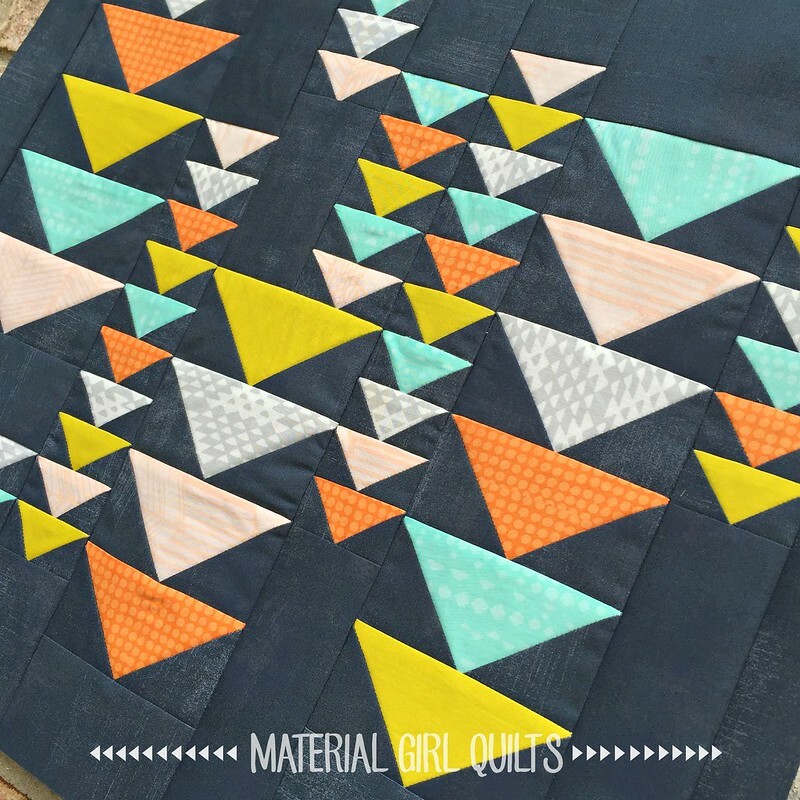 I love your quilt – and if I loved to make that many flying geese, I would be making it, too! I guess I’m one of those who has a love/hate relationship with flying geese; love to look at them and admire someone else’s/hate to make them myself because they don’t turn out as pretty as everyone else’s! I DO like the current fascination with mini quilts. I particularly love looking at Camille Roskelly’s (Bonnie & Camille) wall in her sewing room and trying not to covet every quilt on it. But I digress . . . . I really like this color way with the contrast! Very cute.